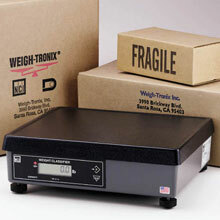 A durable yet economical scale for low to medium volume parcel shipping applications. The NTEP approved NCI Model 7815 is the most cost effective weighing solution for low to medium volume shippers. 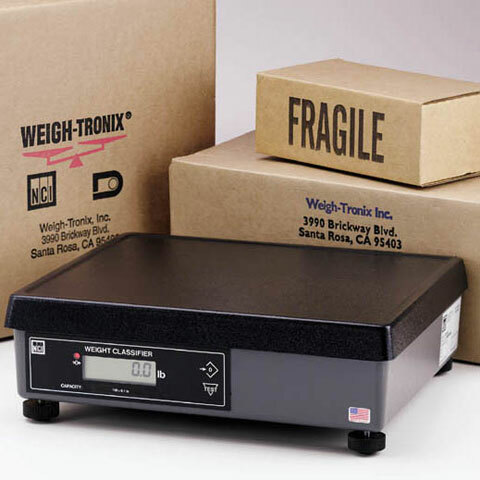 This scale fits easily into any operation and provides convenient mobility for parcel shipping applications. 150lb, 12" x 14" parcel shipping scale, with stainless steel ball-top platter. Includes 10 ft. RS-232 Cable (9 Pin to 9 Pin). 150lb, 12" x 14" parcel shipping scale, with ABS plastic platter. Includes 10 ft. RS-232 Cable (9 Pin to 9 Pin).